Hope you all had a great weekend celebrating Dad. 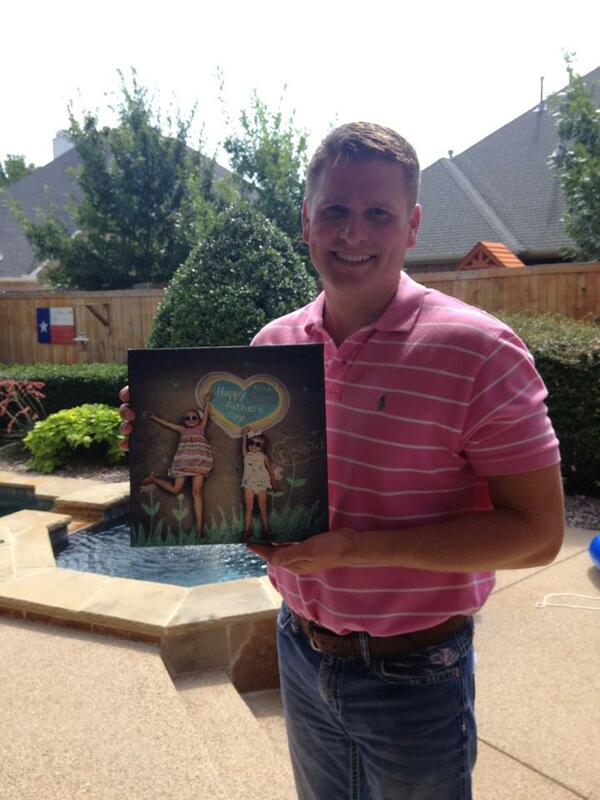 We had a little cook-out and swim party for the special guys in our life. We also presented Daddy, Grandpa, and GranDanny with their special photo gifts. They were a hit! 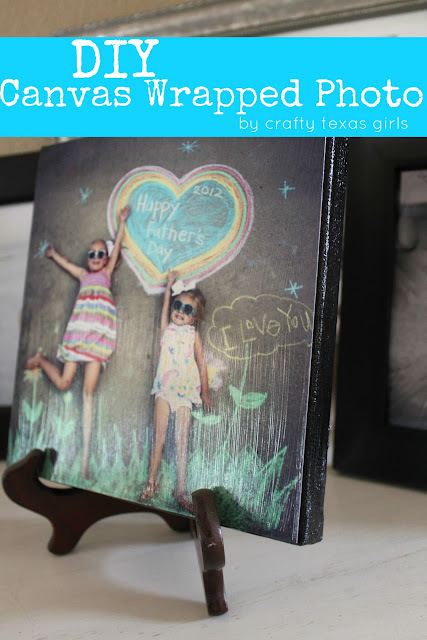 When I originally shared the project with you, I had just planned to print and frame the photos. But on Friday, I saw some great deals on canvases, and I decided to try something new. 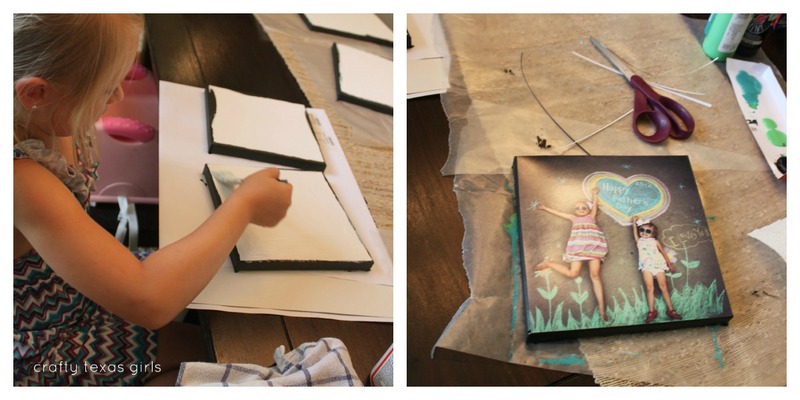 First, I used the print lab at Costco to print the photo in two sizes, 8x8 and 12x12. I like to use Costco or Mpix for printing because you can choose 'turn off color correction'. This is important because when you edit photos using PicMonkey or Photoshop, you usually end up adjusting color. Most photo labs automatically 'correct the color'. So double-check that you have turned off 'color correction' before you print. I found canvases in various sizes at Michael's and then got to work. 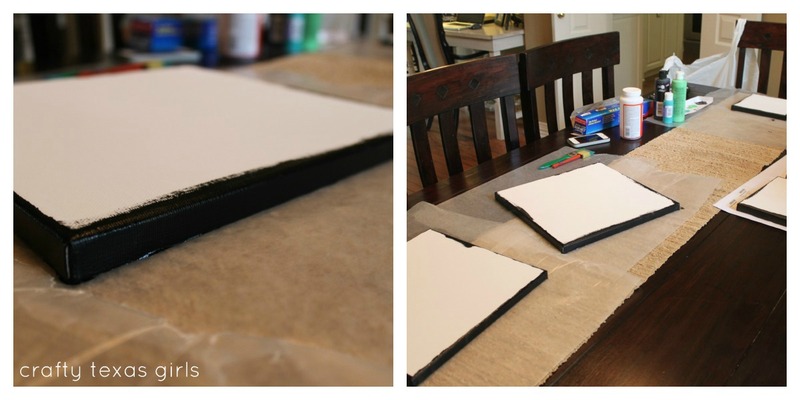 To begin, paint the sides of your canvas and then let them dry. At first, I planned to paint the sides in turquoise, but then I decided black looked better. Next, trim your photo if needed, so that it is a perfect fit. Then use a paint brush to cover the front of the canvas with Mod Podge. Place the photo on and smooth down with a clean towel. Let it dry for about 20 minutes. 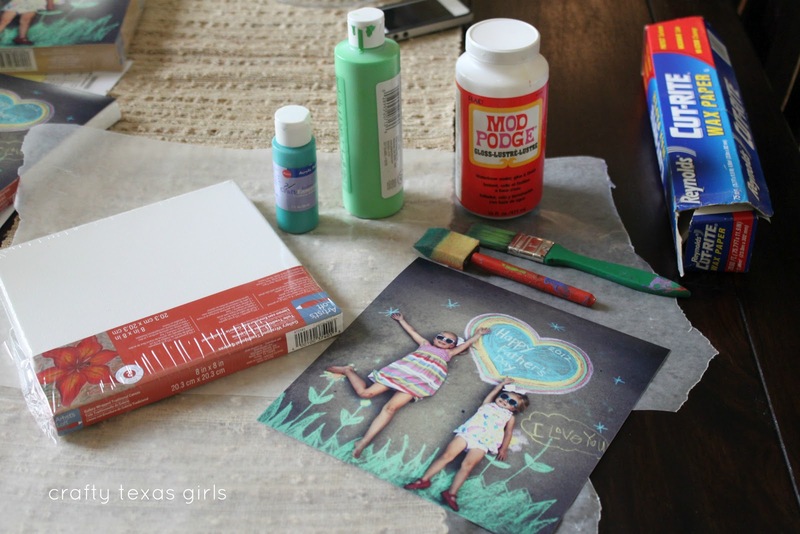 Finally, paint the entire canvas with Mod Podge. I did the front and sides. 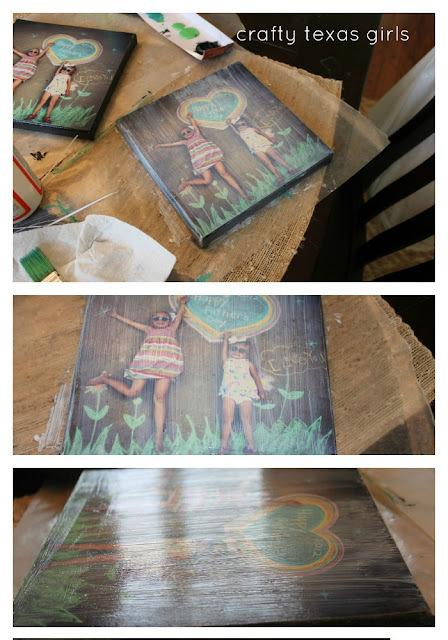 The Mod Podge will go on white, but it will dry clear. 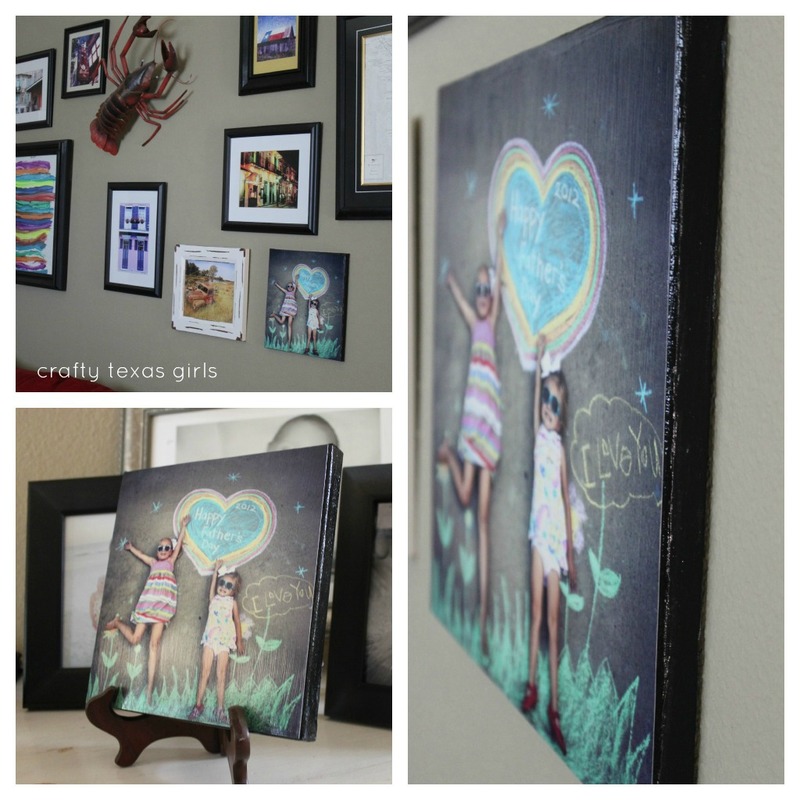 And voila, for about $7 you have a beautiful canvas wrapped photo! The large size looks great on a wall and the smaller size would be cute on a table top or bookshelf. Next time I do this project, I might do a thicker canvas. I would love to do a family photo on a big canvas for the dining room. ** Come back later for "Cowgirl Up!" -- our linked linky party. Add your link once and it automatically shows up on 4 great blogs. You did such a great job with those! And modge podging them on to the canvas was a really good idea! I may have to steal that from you! Looks great! Seems very simple to do!!! First of all, what darling kiddos! They looks so cute in that creative picture. You have plenty of great ideas and tips here. I never knew about the "color correction". Good to know! This is such a great project. And the price is right... the real thing is very pricey! Inspiring post! This is so cool! It really gives an added something special to the image. But in this case, the image is already really fun and colorful and adorable, so it's even better. Love that shot! Do you think this would work well with a collage of pictures on a large size canvas? I love this! did you paint the background and then pasted the pictures of your girls or is that already your picture background printed?